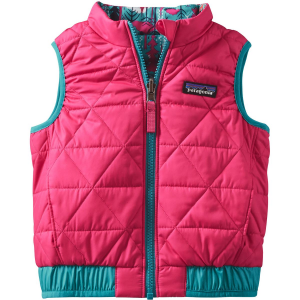 Keep your camper happy on chilly hikes this fall with the Patagonia Toddler Girls’ Puff-Ball Reversible Vest. Made from a recycled polyester fabric, this wind-resistant shell has a DWR-coating to keep her dry from unwanted precipitation, and it’s stuffed with toasty 100g Thermogreen insulation that stays warm even when wet. 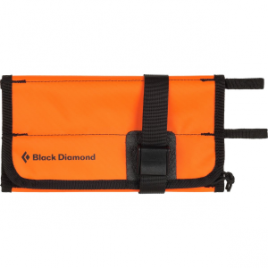 Both the armholes and the elasticized waistband have spandex bindings to help secure the fit and eliminate chafing. One side offers a playful print, and the other is contrast quilt-lined, both with two handwarmer pockets to ensure her mitts stay warm, no matter the style.